Preparing a wedding, but do not have any idea what wedding shoes to wear? Wearing a perfect dress will be even more special with beautiful accessories. It would be even better if you choose accessories like shoes that will match your dress to become more elegant and attractive. Even if you are looking for a traditional wedding dress, it would look perfect if you get the right pair of shoes and bags. Matching wedding shoes and bags are one of the priority accessories usually used. Your shoes should be perfect for your wedding dress. There are lots of things to consider before purchasing wedding shoes for a wedding dress. Here are some tips that can help you have the perfect pair of shoes for the occasion. • Find comfortable shoes for you. Choose a wedding shoe that will make you feel comfortable on your big day. Even if you are looking for cheap shoes because you don’t have enough budgets for more expensive shoes, choose a pair that has padding inside. It will be comfortable to wear throughout the day. • Consider the venue. Before buying a pair of shoes, you should consider the venue. You should also match your shoes with the venue. 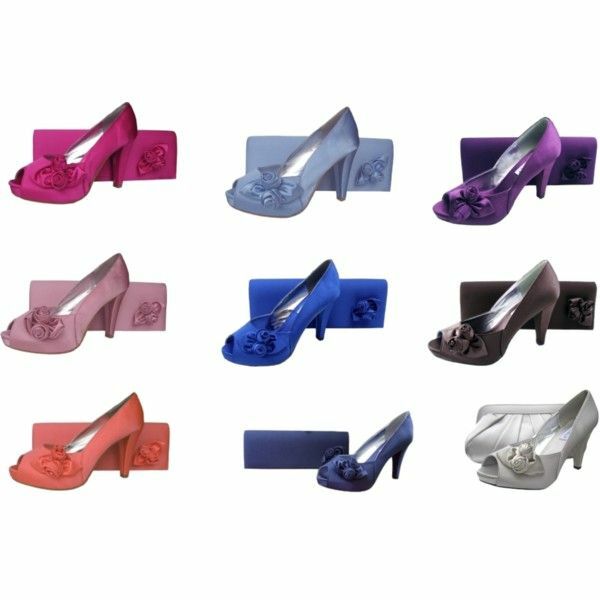 If your wedding is a church wedding, you can use high heel shoes. If your wedding is a beach wedding, you can use versatile flat wedding shoes. Always remember to consider the venue. • Heel height, high heels or flat shoes. Do not experiment with your wedding. If you are not used to wearing high heeled shoes with 3 inches height of heels, then do not take a chance on wearing that on your wedding. As the first tip stated, you should be comfortable with the shoes you are going to wear. • Consider the colour. In choosing your shoes, it does not mean that it would only complement your dress and bags or other accessories. It should also complement your personality. As people say, what you wear reflects your personality. • Consider your budget. Considering your budget is the most important thing. If you do not have enough budgets, you can look for a cheap but comfortable pair for you. If you have money to spend for your shoes, choose a pair that you like. 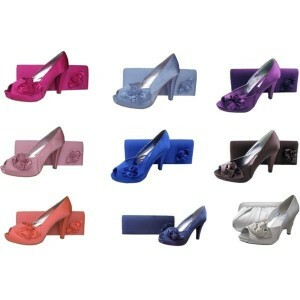 You can ask your tailor or wedding designer to customize your shoes to be perfect for your dress. In preparing for an occasion like this, always ask a friend or a fashion designer to help you out. If you have already chosen the wedding shoes for you, you can look for a bag that will match your shoes. Some stores sell matching shoes and bags. However, some do not. If there is no available bag that will match your shoes, you can also customize your bag. The last thing you should do after choosing wedding shoes and before purchasing is to make sure they are a great fit. Make sure that they are comfortable to wear and fit you. This way, you will enjoy wearing them on your big day. View our fabulous collection of matching shoes and bags online at Sole Divas.